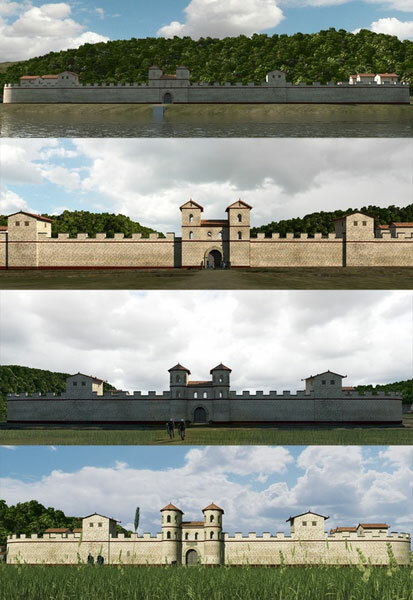 For the new exhibition at the “Roman Museum Boiotro” ArcTron was commissioned for a multimedia film production about the Roman history of Passau. 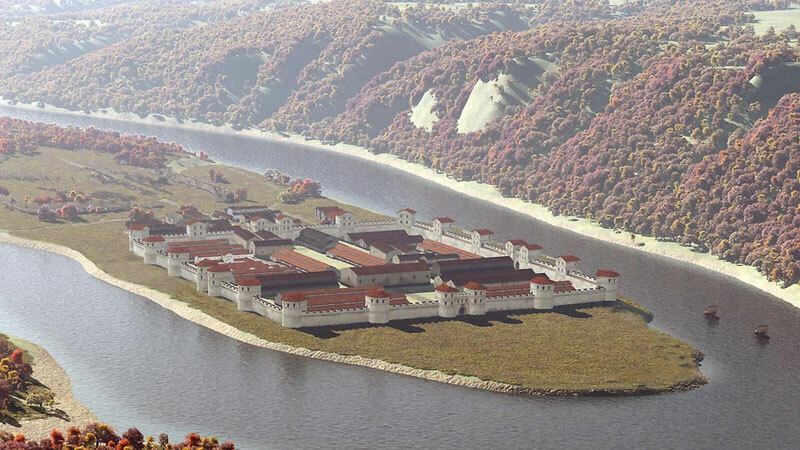 Situated at the frontier to “Magna Germania”, the Danube provided a natural border and was therefore a safeguard for the Roman town of today’s Passau. The river Inn drew another border between the two Roman provinces of Noricum and Raetia. This extraordinary topographic and geo-economic location made Passau an extremely important city. Its significance is underlined by the three Roman fortresses which had been built on both sites of the river Inn until the second century AD. The movie does not only tell the story about the history and the different appearances of the Roman fortresses. It also visualises impressively the surrounding buildings such as the thermae, the neighbourhood (vicus) and the graves along the roads. The history of the people is portrayed, showing the development and changes over time in everyday life of soldiers and civilians. The downfall of the Roman Empire reaches the region of Boiodurum and Boiotro, with its unusual trapezoid Roman fortress south of the Inn, starting from the third century AD. 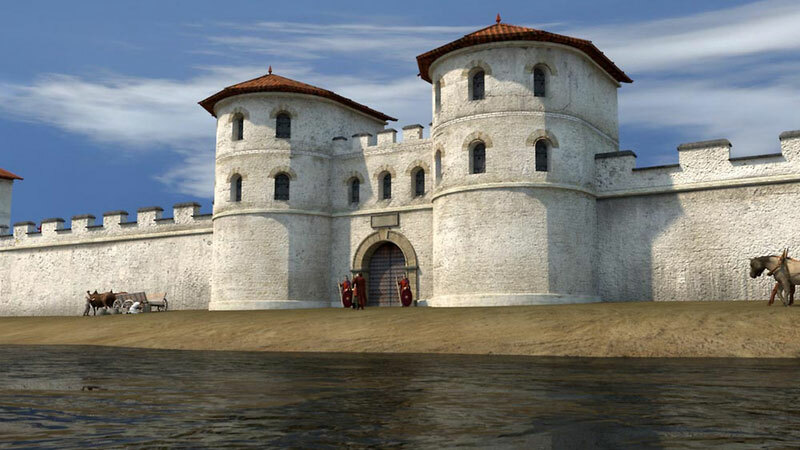 When Saint Severinus of Noricum establishes a small monastery here in the winter of 470 A.D., only the Late Antique fortress and a single tower (Burgus) are still intact. However a fire destroys the monastery in the fifth century marking the end of the Roman Passau.